Imagine thousands of millennials taking their places alongside tourists and conventioneers on the famed San Antonio River Walk. On March 22nd, we called attention to San Antonio’s new tourism-marketing strategy “San Antonio Stories,” which aims to attract the creative class to the Texas city with promises of seeing (and hopefully joining) an artistic and inventive beehive. Last week, My San Antonio (the San Antonio Express-News online) reported the results of a city-commissioned study as part of SA2020, a blueprint for how a city best known for the Alamo and the River Walk might look eight years from now. Much of SA2020 focuses on improving many facets of residential life in a city that has in recent years begun to address its longtime dependence on tourism and the military for a large chunk of its economy. Hoping to reverse the city’s brain drain that still siphons young San Antonians to Dallas, Houston, and, no doubt, distant but bright beacons of opportunity on the east and west coasts, the city of San Antonio proposes the creation of 7,500 new housing units in downtown. In terms of image-making, the plan is reminiscent of how Boston in the 1950s-60s worked to turn the corner from an old manufacturing city to a high-tech center. The difference is that Boston’s new image was one of economic transformation, while San Antonio is eyeing a cultural makeover to mirror its gradual economic diversification. Such a move acknowledges the possibilities that go along with bringing several thousand residents into the heart of the city. 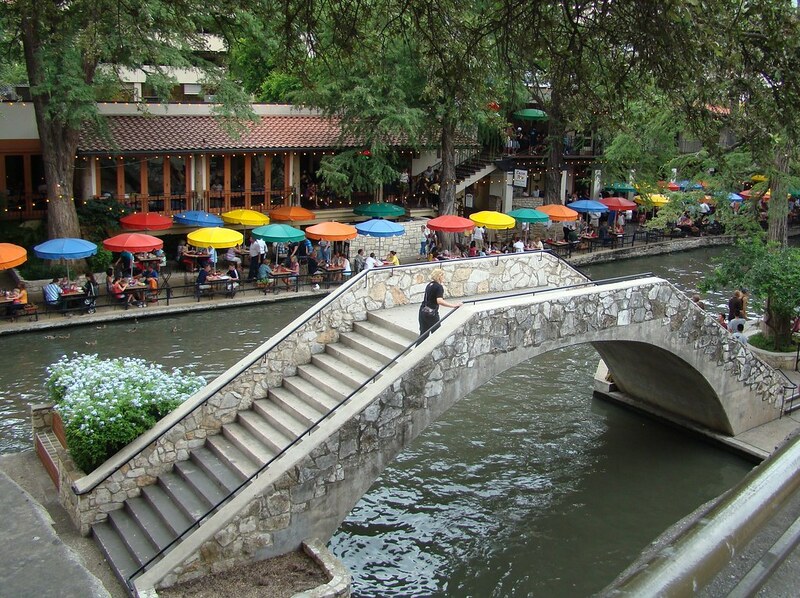 For the River Walk, it is probably the equivalent of adding five major convention hotels without the pressure of outcompeting other cities for the additional conventions, special events, and attractions needed to keep those hotel rooms filled year-round. The addition of so many residents would surely enliven nearby downtown dead zones. But the plan, estimated to cost more than one-third of a billion dollars, also presupposes that lifestyle-related investments (e.g., creating a bustling, cosmopolitan, youthful downtown scene) can compensate for a long history of reliance on hospitality and the image it forged. The challenge remains for San Antonio: find a way to give San Antonians the economic energy to go along with their city’s charm and excitement. The challenge underscores that it is easier to build up tourism in a diversified city like New York, Boston, or San Francisco than to move from tourism dependence toward a multifaceted economy. Great branding with your your blog. I went to San Antonio a year ago and the sights were so beautiful. I was actually very shocked to see old buildings but San Antonio is a city with many facades. I wish San Antonio the best and hopefully I may visit again sometime soon.